State of IA, license verification - Jill Lynelle (Vibhakar) Meadows (search by name) -- Listing at Des Moines abortion clinic State of NE, license verification - Jill Lynelle Meadows State of AR, license verification - Jill Lynelle Meadows Former abortionist at: Quad Cities Center - Planned Parenthood Former abortionist at: Planned Parenthood of the Heartland - Dubuque Nine Months Legal - Excerpts from doctors' court testimony in abortion lawsuit - Dr. Jill Vibhakar describes her partial-birth abortion procedures (See paragraph toward end of article.) Carhart v. Ashcroft - Memorandum & Order, 9-8-2004 -- Jill L. Vibhakar, MD, gives details on her late-term abortion procedures. See pages 103-106. 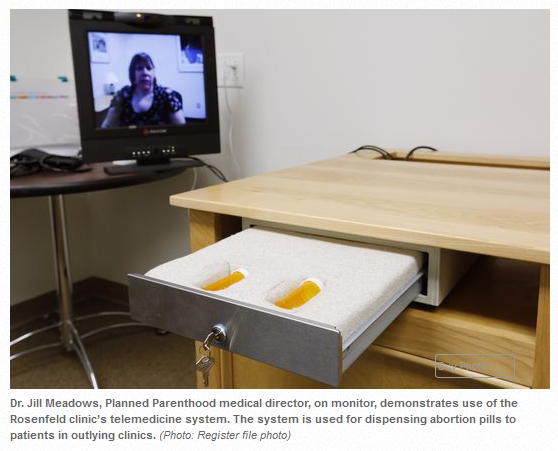 Meet Iowa's Version of Kermit Gosnell: Dr. Jill Meadows Update: Carhart v. Ashcroft Federal Abortion Ban Trial in Nebraska -- Abortionist Dr. Jill L. Vibhakar, MD, testified if the ban were in effect she would stop providing 2nd-trimester abortions. Doctor takes public role in abortion - Feature bio on abortionist Dr. Jill Meadows, aka Jill Vibhakar. Carhart v. Gonzales, 7-8-2005 -- Jill L. Vibhakar, MD, is plaintiff in lawsuit over abortion legislation Meet Planned Parenthood of the Heartland Medical Director: Dr. Jill Meadows -- Bio and abortion career of Dr. Jill (Vibhakar) Meadows Physicians for Reproductive Health - Jill Meadows, MD, on Board of Directors Planned Parenthood of the Heartland and Jill Meadows, MD v. Heineman, et al, 7-14-2010 -- Jill Meadows, MD, performs abortions in Nebraska. See page 3. New challenges to telemed abortions in Iowa Telemed abortion case argued before Iowa Supreme Court Iowa gynecologist Jill Meadows is Planned Parenthood's new medical director Google Plus ads - Dr. Jill Meadows, MD - Listing at Iowa City abortion clinic Superpages.com - Jill L. Meadows, MD - Listing at Iowa City abortion clinic BetterDoctor.com - Dr. Jill Meadows, MD - Listings at abortion clinics in Urbandale, Bettendorf, and Des Moines, IA Google Maps - Dr Jill L. Meadows, MD - Listing at abortion clinic in Bettendorf, IA Vitals.com - Dr. Jill L. Meadows, MD - Listing at Des Moines abortion clinic NPI #1841284031 - Dr. Jill Lynelle Meadows, MD - Listing at Des Moines abortion clinic Doximity.com - Dr. Jill (Vibhakar) Meadows, MD - background and credentials eHealthInsurance.com - Jill L. Meadows, MD - Listing at Dubuque, IA abortion clinic CoOportunityHealth.com provider listing - Jill L. Meadows, MD -- Listings at multiple abortion clinics in Dubuque, Bettendorf, Des Moines, Urbandale, Iowa City, Lincoln, etc. Local.Yahoo.com -- Jill L. Meadows, MD - Planned Parenthood listing in Lincoln, NE Superpages.com -- Jill L. Meadows, MD - Planned Parenthood listing in Lincoln, NE Manta.com - Jill L. Meadows, MD - Listing at Lincoln, NE abortion clinic Supreme Court Plaintiffs: Leroy Carhart and Jill Lynelle Vibhakar (bio on abortion providers as plaintiffs in lawsuit) UI Deal with Planned Parenthood director draws fire - The Daily Iowan, 3-1-2011 -- Meadows will continue to teach abortions on-site at Planned Parenthood Planned Parenthood Propaganda Machine in Overdrive on Telemed Abortions - 1-18-2011 Career abortionist Jill L. Vibhakar Meadows, MD, has been a vocal practitioner of late-term abortions. Dr. Meadows, aka Dr. Vibhakar, has served as a plaintiff in high-profile lawsuits over abortion legislation. In court documents, she testified in detail about her practice of partial-birth abortions - a controversial technique in which a late-term fetus is delivered alive, except for the calvarium (head), which is too large to pass through the cervix. To complete the procedure, the skull of the live fetus is then pierced, suctioned, and crushed, allowing the abortion provider to remove the now-deceased fetus from the uterus. As an OB/Gyn Clinical Professor, Dr. Meadows taught medical and surgical abortions to students at the Univ. of Iowa Medical School. In March 2010, Meadows took a job as abortionist and Medical Director for Planned Parenthood of the Heartland. This violated Meadows' non-compete agreement with the university. Meadows was not disciplined, however; as she reached a controversial arrangement with the University of Iowa to continue teaching abortions to medical students on-site at an abortion clinic. 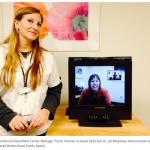 News interview with Rosenfield abortion clinic manager Fiona Tubmen-Scovack, and video of telemedicine abortionist Dr. Jill Meadows. Oklahoma medical license listing for Jill Lynelle Meadows, MD, valid through 01-01-2018. Oklahoma medical license photo profile for Jill Lynelle Meadows, MD. Since the retirement of abortionist C.J. 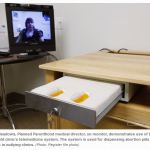 LaBenz, Dr. Jill Meadows and Dr. Nicola Moore are performing abortions at Nebraska Planned Parenthood clinics. See page 3. Abortionist Jill L. Vibhakar, MD (now Jill L. Meadows) is a plaintiff in lawsuit over abortion legislation. She performs late-term abortions, and gives extensive details on her abortion procedures. See pages 15-16, and page 103. Abortionist Jill Vibhakar, MD (now Jill Meadows) describes her abortion techniques in court testimony. Bios for abortionists and court plaintiffs Leroy Carhart and Jill Vibhakar (now Jill Meadows), who are suing over abortion legislation. Jill L. Vibhakar, MD (now Jill Meadows) is a plaintiff in lawsuit over abortion legislation. See page 1. 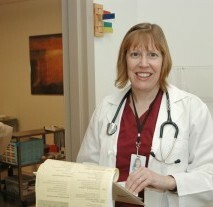 Bio and background on abortionist Dr. Jill Vibhakar Meadows. Des Moines Register.com - 7-12-2010. Abortion providers sue over abortion legislation. 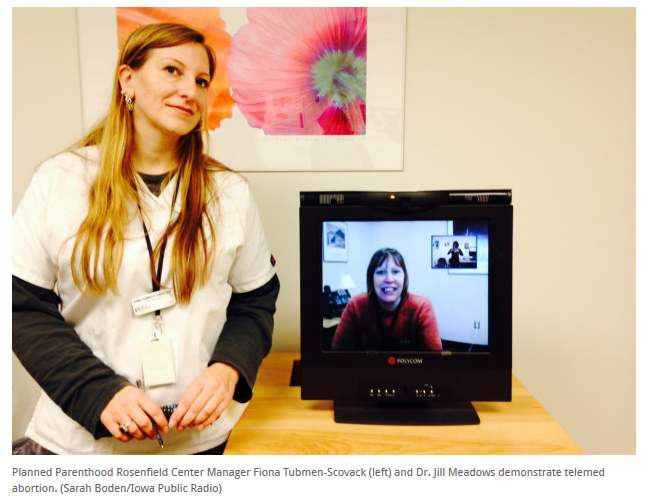 Plaintiff Jill Meadows, MD, performs abortions in Nebraska. See page 3. Clinical Ob/Gyn Professor and abortion instructor Dr. Jill Meadows breaks her non-compete agreement with the University of Iowa to take a job as Medical Director for Planned Parenthood of the Heartland. Meadows reaches a controversial arrangement with the University, allowing her to continue teaching abortion methods to medical students, via on-site instruction at an abortion clinic. Background info on late-term abortionist and court plaintiff Dr. Jill Vibhakar Meadows, MD. Insurance provider listings for Dr. Jill (Vibhakar) Meadows, MD, at multiple abortion clinics.